G.R.A.D. 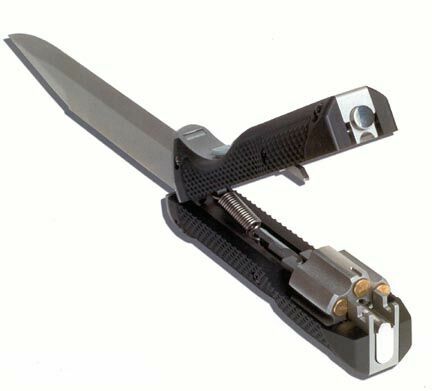 .22 RS Knife gun. holds 5 .22 cal bullets in a revolver type loader. fires with every pull of the trigger on the handle.